Warren Buffet enjoyed a nice ride, since the US-Stock Market kept on rising from 1975 until March 2017 under a pretty low INFLATION-regime, backed by the US-Federal Reserve. 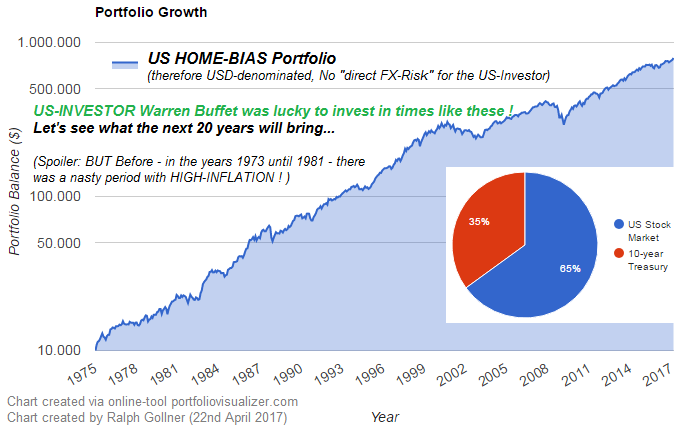 Therefore being a US-Investor with a HOME-BIAS definitelly paid off in the last decades! An annual compound average growth rate of over 10% over the last 30years + is not a bad annual return - I hope you will agree ;-) In following table you will find the Statistics over the mentioned time-period (all figures before inflation deduction - of course). 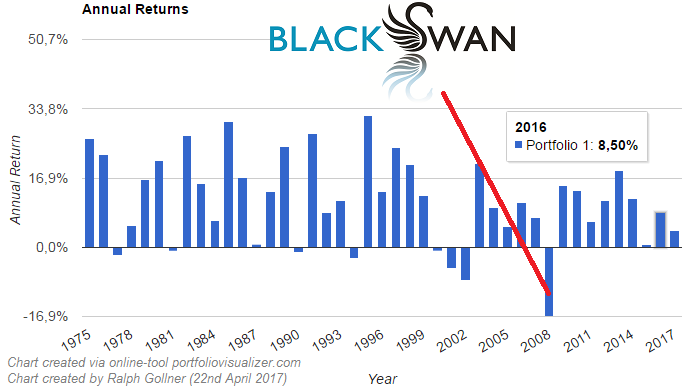 So, let's find out, if it will make sense to avoid a once in a 42-year-timeframe BLACK SWAN Event...in the upcoming period 2018 - 2050 (32 years). Disclaimer: Maybe we will have even two Black Swans flying by? Who knows..